I’m really starting to feel good about the predictions I made back at the beginning of the year when I said that women will win multiple bracelets at the 2012 World Series of Poker, AND that a woman will make the final table of the WSOP Main Event. Heading into a heads-up battle with Greg Ostrander, Jackie Glazier will take a commanding 3-to-1 chip lead as the two battle for the $3k NLHE bracelet. If you don’t know who Jackie Glazier is you should. The Australian has been on fire in 2012, and in another column I tagged her as one of the Women to watch at the WSOP. Glazier is looking to join Allyn Jaffrey Shulman as 2012 WSOP bracelet winners, having already secured the largest cash of her career. With the most dangerous player in the field on her immediate right, JP Kelly, and the chip leader two more seat down, Glazier drew a very favorable seat at the final table and she made the most of it, chipping-up early and often at the final table. It took some time, but Kelly was the first player eliminated from the final table and after his elimination players started hitting the rail, leaving only Glazier and Ostrander at the end of the night. With the players already having played through the day’s 10-levels the tournament was halted and will resume Monday at 1 PM local time. 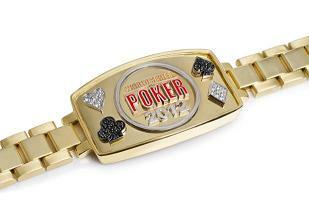 This entry was posted on Monday, June 25th, 2012 at 8:03 am and is filed under Poker News. You can follow any responses to this entry through the RSS 2.0 feed. You can leave a response, or trackback from your own site.